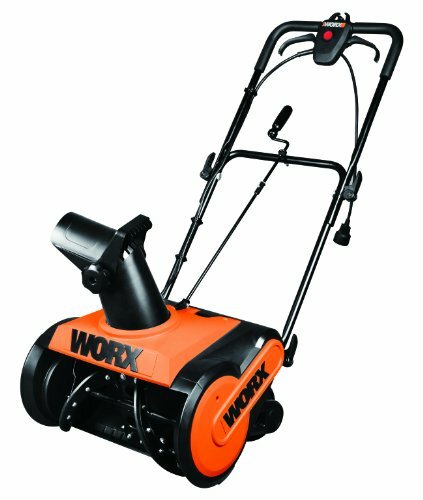 The WORX 18 inch snow thrower will help you get through winter with ease. Powered by a high performance 13 amp electric mower capable of slicing a path 18 inches wide by 9 inches deep and throwing snow up to 30 feet, clearing snow from your walkway and driveway will be a breeze. 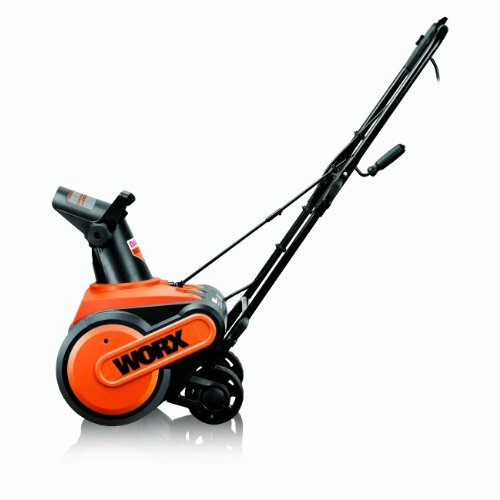 This WORX snow thrower is ergonomically designed to reduce fatigue and increase user comfort - its 3-position adjustable handle lets you choose the appropriate height and the collapsible/ foldable handle makes the unit ultra compact for off season storage. For added convenience, the 180 degree rotating chute comes with oversized chute adjusters for easy use with winter gloves and the handlebar mounted chute directional control is easily accessible. It is equipped with compact wheels for improved maneuverability and the rubber-tipped steel auger makes throwing large amounts of snow easy.